T3 Agenda: KEF's LS50 Wireless Nocturne speakers. Blackberry's all-touch Motion handset. And more! 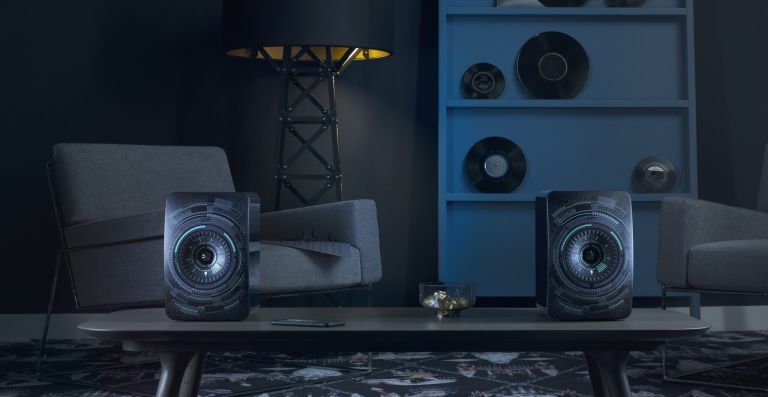 Based on the original, award-winning LS50 wireless hi-fi speakers, KEF LS50 Wireless Nocturne were designed in partnership with esteemed Dutch designer Marcel Wanders, and would make a striking, some might say Star Wars-esque, addition to any home audio setup. The LS50 Wireless Nocturne, like the original version, naturally supports 192kHz/24-bit high-resolution digital audio, with a dedicated DAC for both channels, so you know you're going to get impeccable sound quality. Connectivity is via dual-band Wi-Fi, with support for Tidal and Spotify (no, Apple and Google fans, no AirPlay or Google Music here. Sorry). If you prefer a more convenient route to wireless bliss, there's also Bluetooth 4.0 with Apt-X. The BlackBerry Motion, an all-touch smartphone that's finally jettisoning those old school physical buttons, will be arriving by the end of the year. Coming to the UK and other select markets by Christmas 2017, this all-new BlackBerry smartphone aims to offer a smartphone that can help the manufacturer compete with its fellow touchscreen-focused handsets. BlackBerry Motion is also the first BlackBerry smartphone to offer IP67 water and dust resistance, a new anti-scratch display technology, and the largest battery ever in a BlackBerry (offering 32+ hours of mixed use). BlackBerry Motion is available for pre-order from Carphone Warehouse now with a price tag of £399. Earphone specialist JLab Audio has launched its first true wireless earbud with the Epic Air Bluetooth Earbuds. They feature a patent-pending antenna earhook with a six-hour battery life for each bud (and a charging case that promises 30 or more hours of playback from a single charge). The unique design strengthens the Bluetooth connectivity so you won’t have to worry about cutouts or skips. Each earhook contains a Bluetooth 4.1 with an aptX Technology antenna so the device to earbud connection is stronger and more versatile by allowing either earbud to pick up the connection. Available for preorder now at jlabaudio.com/epicair for $149.99 (orders ship in February 2018).